$236.99 This may be in stock for quick delivery; please call! LP's height-adjustable Double Conga Stand holds two LP Congas and is made of heavy-gauge chrome-plated steel with a pin-lock design that holds the vertical support securely in place. 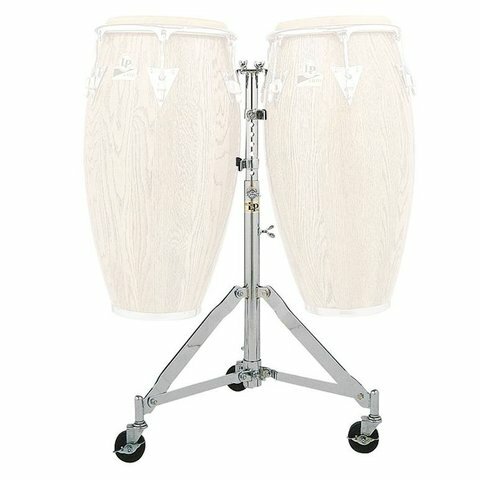 The mounting brackets prevent congas from twisting and the adjustable drum separators allow the drums to be angled for precise positioning. The stand includes heavy-duty, braking casters for easy set changes.